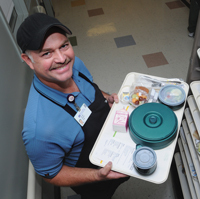 Don Dickson, a cook with Nutrition Services, is happiest when he’s made a patient’s day. That’s why some of his favorite memories involve special anniversaries. There have been a number of times when staff has discovered a patient is about to celebrate a big anniversary. “We try to help them have a good experience. No one wants to be in the hospital, but there’s no reason they can’t have a special memory,” he says. It begins with an anniversary card. “We try to create a restaurant experience. We have flowers, candles and a really nice dinner for them and a loved one,” says Don. He’s always surprised when he runs into someone in the community and they remember him from their hospital stay. In the early days, local physicians were responsible for just about everything at the hospital. Even after they’d spent a full day with their own patients, and making rounds at the hospital, they would be on call for emergencies. It was exhausting for them, and difficult for staff because they’d have to track down a doctor whenever help was needed. 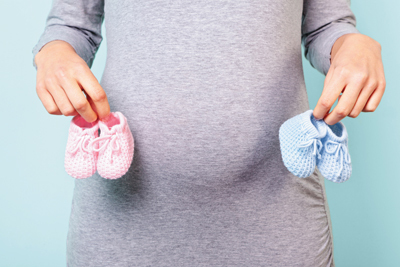 That all changed in 2001, when NorthBay introduced hospitalists at both VacaValley and NorthBay Medical Center. Hospitalists are physicians who specialize in working only in hospitals. NorthBay Healthcare Group President Deborah Sugiyama remembers it was a welcome change for everyone. “The doctors were relieved, the staff always had a go-to physician, and the patients were covered 24/7.” In 2008, the use of intensivists was introduced, which put physicians specifically trained in critical care medicine on the 24/7 schedule for NorthBay’s ICU. 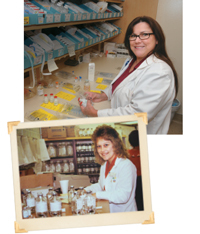 When Carol Damman, pharmacy technician/support specialist and lead, started working for the VacaValley pharmacy in 1990, there was only one computer that printed IV labels, and all patient orders were hand-written. Everything was located in a cramped space that was only about 800 square feet. “The pharmacy retrieved the orders from the nursing station every hour, and had to transcribe them by hand onto patient profile cards,” she recalls. All IV solutions were in glass bottles, which made it harder to store and deliver. “If you dropped one, it shattered glass everywhere. And after hours, meds were stored in little baggies on each nursing station.” When the nurses used them, they would stamp the patient name on the baggie and pharmacy would gather them each morning and manually charge the patient and replace them to the nursing units. “I’m so thankful that our computer systems and automated dispensing machines of today help with our patient safely goals,” says Carol. In more than 30 years as a physician at NorthBay Healthcare (and 25 at VacaValley Hospital ) Emergency Department Physician Craig Dennis, M.D., thought he had seen it all.